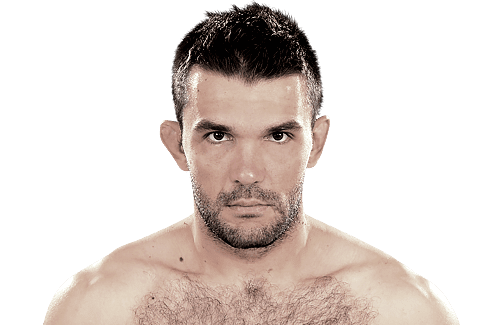 Peter Sobotta (born January 11, 1987) is a Polish-German professional mixed martial artist currently competing in the Welterweight division of the Ultimate Fighting Championship. A professional competitor since 2004, he has also formerly competed for KSW. Sobotta was born in Zabrze, Poland and grew up in the small German town of Balingen. His childhood hero was Jackie Chan, who inspired him to take up martial arts, beginning with judo and then Kung Fu and Tae Kwon Do. He then took up Muay Thai and Brazilian jiu-jitsu when an MMA school opened near his home town. Sobotta had his first professional mixed martial arts fight at the age of 17, and he compiled a record of 8-1 competing for several regional promotions across Europe before being signed by the UFC in 2009. Sobotta made his promotional debut at on June 13, 2009 at UFC 99 against Paul Taylor. After three rounds, Sobotta lost via unanimous decision. Sobotta was scheduled to have his second UFC fight against DaMarques Johnson on November 14, 2009 at UFC 105, but due to a military commitment for Sobotta, the bout was canceled. Instead, Sobotta fought James Wilks on June 12, 2010 at UFC 115, losing by decision. He then faced The Ultimate Fighter 7 winner, Amir Sadollah on November 13, 2010 at UFC 122. 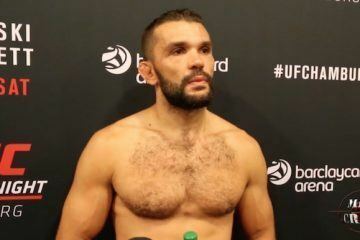 He lost the fight via unanimous decision and was promptly released from the promotion along with Goran Reljic and Seth Petruzelli. 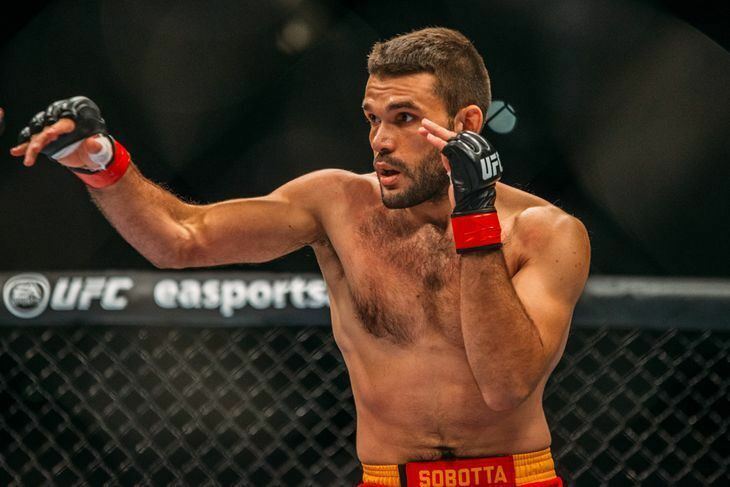 After three years on the independent circuit, going 5-0-1 in the process, Sobotta was re-signed by the UFC. Sobotta faced promotional newcomer Pawel Pawlak at UFC Fight Night 41 on May 31, 2014. Sobatta defeated Pawlak by unanimous decision to earn his first UFC victory. Sobotta was expected to face Sérgio Moraes on April 11, 2015 at UFC Fight Night 64. However, Sobotta was forced out of the bout citing an injury and was replaced by Gasan Umalatov. The fight with Moraes was rescheduled for June 20, 2015 at UFC Fight Night 69. On June 9, the fight was scrapped once again as Moraes pulled out for undisclosed reasons. He was replaced by promotional newcomer Steve Kennedy. Sobotta won the fight via submission in the first round. Sobotta faced Kyle Noke on November 15, 2015 at UFC 193. He lost the fight via TKO in the first round after being dropped with a body kick followed by punches on the ground. Sobotta was expected to face Dominic Waters on May 8, 2016 at UFC Fight Night 87. However, Sobotta pulled out of the fight in late March citing injury and was replaced by Leon Edwards. Sobotta next faced Nicolas Dalby on September 3, 2016 at UFC Fight Night 93. Before the bout, he announced he would henceforth represent Jamaica in the UFC, rather than continue to choose between Poland and Germany and offend the other. He plans to visit his new nation for the first time in December. He won the fight by unanimous decision. 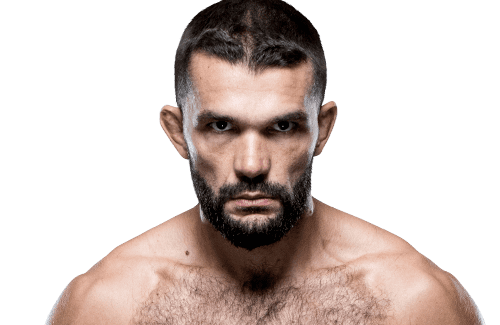 Sobotta faced Ben Saunders on May 28, 2017 at UFC Fight Night 109. He won the fight via TKO in the second round. Sobotta was born in Poland, but raised in Germany. He chose to wear the Jamaican flag at his weight in for UFC Fight Night 109, despite the fact that he has dual citizenship to both Poland and Germany. He explained on the UFC Fight Night 109 post fight press conference that the reason he chose to wear the Jamaica flag was to send the "One Love" message to the world.